Talkshop contributor ‘Bart’ has used a powerful mode of analysis of the sunspot record to reveal periodicities and also devised an elegant algorithm which can produce a time series very similar to the historical sunspot record. Bart does not explicitly link the two periods found to planetary periods as I have in the title of this thread to make it easy for Google to find us, but the two periods are very close to twice the orbital period of Jupiter and the synodic period of Jupiter and Saturn, which when averaged are close to the Hale cycle period. I got Bart’s permission to make an article, and Bart told me in comments here, that adjusting the two values to the exact planetary periods would make little difference to the result. I observed four significant peaks in the PSD of the SSN process at 10 years, 11.8 years, 10.8 years, and 131 years (unfortunately, the one at 131 years is obscured in the PSD I showed because I had to make the usual tradeoff between bias (resolution) and variance in my plot, and I chose to present a smoother version, the better to resolve the higher frequency peaks). 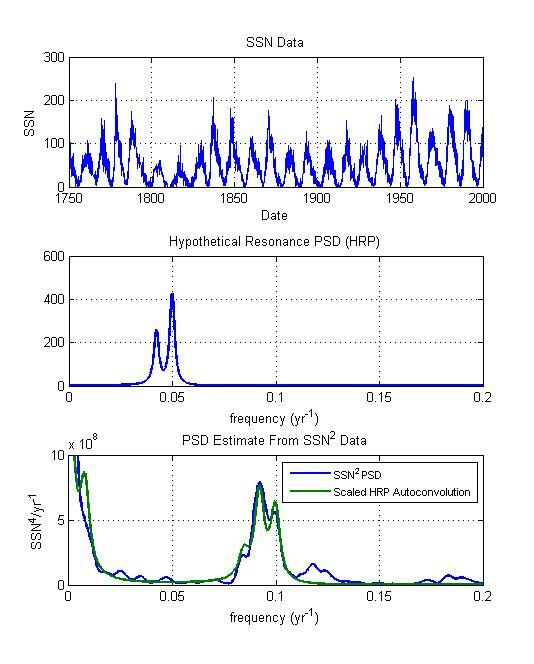 Preliminary PSD analysis informs me that the solar cycle is governed by two quasi-periodic processes with periods of roughly T1 = 20 and T2 = 23.6 years. Reverses itself in both hemispheres from one sunspot cycle to the next. El Reg. is reporting “The House of Commons Science and Technology Select Committee has called for greater integrity and data disclosure in peer-reviewed literature. It recommends that all UK research institutions should have “a specific member of staff leading on research integrity”. Click on image to go to S&T web page. Want and get are of course different but nevertheless this surprising call is welcome. I doubt much is going to change until society itself changes. Leif Svalgaard on exotic things: finally accepts planets may be affecting Sun after all! What you should have learned by now from the various exchanges is that if the planets generate, control, or modulate solar activity it is by tidal mechanisms [which includes W&P]. That means that all the barycentric [and solar velocity, angular momentum, etc] stuff is out, and we should [as W&P] concentrate on finding how tidal forces can do this. Are you seeing the word ‘tidal’ in there Leif? I’m seeing the word ‘barycenter’. times the vertical displacements of convective flows that will be involved in our mechanism. Anyway, I’m not going to argue it with you right now, because this is a most welcome and refreshing change in your approach. There may be subtle things going on in the interior that we don’t know about: the sun might not be symmetric on the inside, for example, in which case tidal forces may cause a torque on the sun, perturbing the sunspot generation, or other more exotic things. The usual problem is one of magnitude, so that has to be overcome for tidal mechanisms to work. A physical asymmetry in the Sun would introduce a quadrupole moment which should be detectable. Any likely places in existing data that might be found? A new paper by Nicola Scafetta and Craig Loehle has been published in the Open Atmospheric Science Journal 5:74-86. We clearly state in the paper that there are other cycles such a the millennial one explaining the MWP and LIA. However, in this paper we are dealing only with the data since 1850. The first approximation that can be done with this data is a linear one which yields to an upper estimate for our 21st forecast. Since I know you both believe in radiative physics as your paper indicates, your estimate of sensitivity, puts you at the lower end of luke warmer. your bumper stickers are in the mail. prepare to be savaged by both sides. Steve knows a thing or two about that situation, so we should tread lightly as we assess this interesting paper. 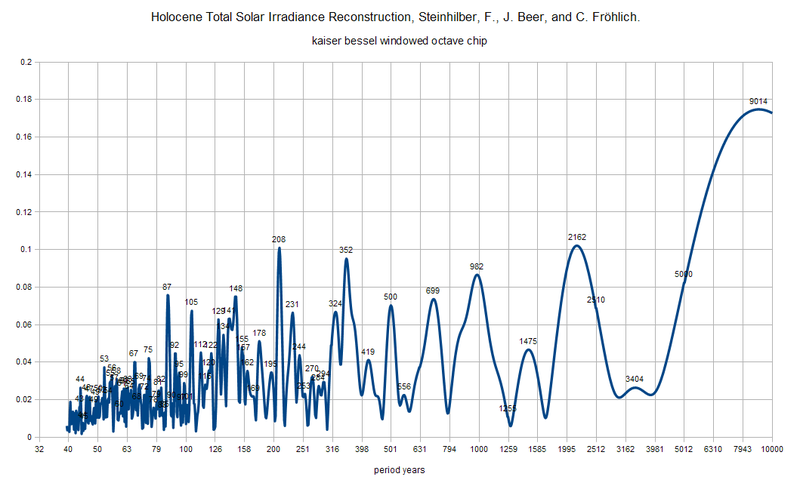 Ed Fix has been back in touch about his solar activity simulation model. Ed couldn’t reveal too much last time around as the paper was pending publication in an Elsevier book. My thanks to Ed for being true to his word and returning here to the talkshop armed with a full explanation of his model and data. The spreadsheet and supporting info are here. A couple of months back, David Archibald generated a bit of commotion with a post on WUWT about an as-yet-unpublished paper of mine. At the time, I said I’d talk more about it after the paper had actually been published. The book _Evidence Based Climate Science_, Dr. Donald Easterbrook, ed. (Elsevier, 2011) has been published as an e-book (hardcover to follow in Sept), and a preview is available on Elsevier’s website, (http://www.elsevierdirect.com/ISBN/9780123859563/EvidenceBased-Climate-Science). So now I am prepared to talk about my paper, included as chapter 14 (beginning on page 335 in the preview). The paper’s title is “The Relationship of Sunspot Cycles to Gravitational Stresses on the Sun: Results of a Proof-of-Concept Simulation”. This paper presents what I believe is a new approach to linking the motion of the sun around the barycenter of the solar system to the sunspot cycle. I consider this paper to be a progress report after the preliminary phase of a work in progress. This effort differs from earlier work in three main respects. This 2005 paper from Penn State is a superb work where the authors are astrophysicists and a statistician. A lot of very interesting items in the paper for those trying to untangle the solar problem and it goes as far as mentioning a forbidden word, barycentre. If showing the image from the paper is excessive fair use under copyright I apologise and it will be removed on request. I have used INTCAL09 (2009) as a basis and a trivially simple method to reconstruct the Solanki et al result, with differences and excluding the older portion of their result. (14C record deteriorates to coarse sampling about 9500BP). All following plots are time left to right and adjusted to AD calendar. 14C as a proxy, but for what exactly? 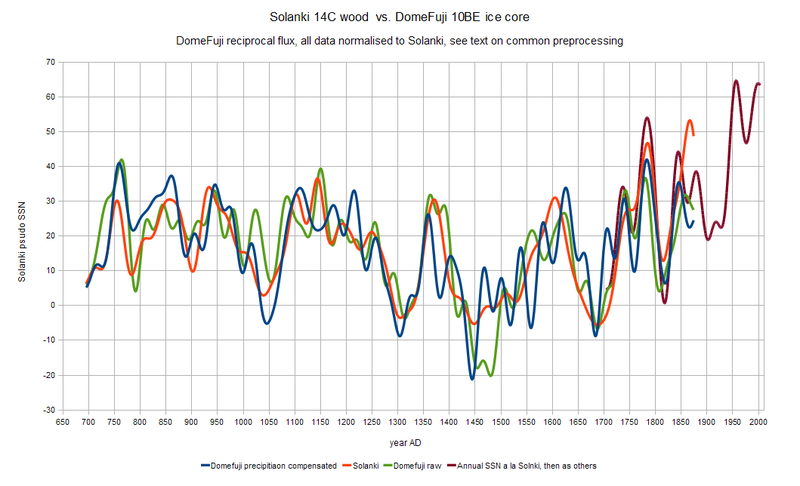 How is 14C data turned into a solar or radiative proxy? Does sunspot number calibration by the “magnetic needle” make sense? Available online 10 May 2008. It has been suggested recently that early sunspot numbers should be re-calibrated and significantly corrected using the observed daily range of the geomagnetic declination (so-called rY values). The suggested “correction” method makes an a priori detrending of the rY series and then extends the linear regression between rY and sunspot numbers established for the last 25 years to earlier times. The suggested “correction” of sunspot numbers by roughly 30% goes far beyond the traditional estimates of observational uncertainties of sunspots. Concentrating here on Zürich sunspot numbers (Rz), we demonstrate that the rY values do not actually imply that the observed Rz values in the 19th century are systematically underestimated. Rather, we find that the Rz numbers are fairly uniform after mid-19th century. 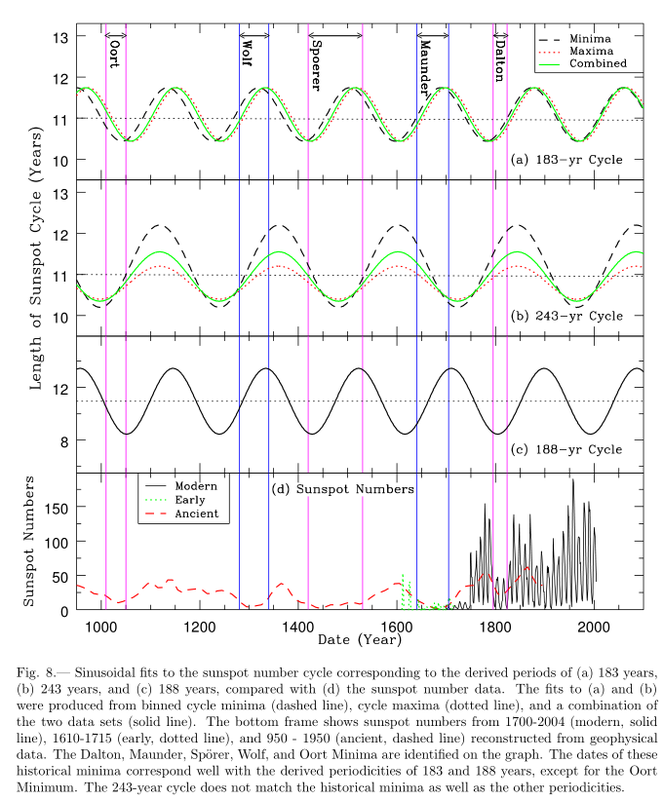 The suggested “correction” is largely induced by the detrending of the rY series, which enhances the rY-based sunspot activity in the 19th century relative to later times. We also show that while the annually averaged declinations have a rough relation between sunspots and other related solar parameters, this relation is strongly seasonally dependent and, therefore, not sufficiently accurate or uniform to allow annually averaged rY values to be used as a very reliable proxy of solar activity in early times. If anyone knows of another location where it can be downloaded legally let me know. H/T to Vuk for the paper. My comment below the break. I think Ulric might like this one. It turns out, according to a new study, that minor planets in the asteroid belt have a chaotic effect on Earth’s orbit. Astronomy & Astrophysics is publishing a new study of the orbital evolution of minor planets Ceres and Vesta, a few days before the flyby of Vesta by the Dawn spacecraft. A team of astronomers found that close encounters among these bodies lead to strong chaotic behavior of their orbits, as well as of the Earth’s eccentricity. This means, in particular, that the Earth’s past orbit cannot be reconstructed beyond 60 million years. 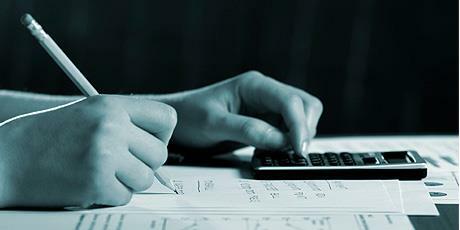 SORCE TSI has not been updated since 2 June due to technical problems. Is there any more information about that situation? Their website says: Weekly Status reports have been removed to comply with ITAR restrictions. Rehfeld, K., Marwan, N., Heitzig, J., and Kurths, J.: Comparison of correlation analysis techniques for irregularly sampled time series, Nonlin. Processes Geophys., 18, 389-404, doi:10.5194/npg-18-389-2011, 2011.
http://www.nonlin-processes-geophys.net/18/389/2011/npg-18-389-2011.html full paper in PDF available. This recent paper looks at the difficult problem of correlating data where each data has a different X axis, that is, each Y point is at a different X, something is irregular about the timescale. This concept was conceived and Engineered by March 1996. This presentation was first placed on the Internet in June 1997. A rather simple and possibly even obvious explanation seems available to explain essentially everything about the immensely complex and peculiar magnetic field of the Earth. The traditional Dynamo Theory which has enormous masses of ionized iron atoms ROTATING WITH THE EARTH is shown to be clearly incorrect, but close. Instead, it is believed that PAIRS of COUNTER-ROTATING convective circulations inside the Core, where the net effect of the pair of iron circulations tends to cancel out at a large distance such as at the surface of the Earth. When slight variations occur in EITHER of the two convection circulations, the measured magnetic field at the surface of the Earth could rapidly become North-directed or South-directed, explaining the many Magnetic-Pole-Reversals that have been detected in volcanic rocks around the world. Given the fact that two much stronger, opposed magnetic fields are then the source, there would then also be quadrupole and octopole components of the measured magnetic field, as well as the famous dipole, and they all can then vary in complex and even rapid ways. Such quadrupole and octopole components of the Earth’s magnetic field are well confirmed. The discussion below will clarify these animations, where the outer circle represents the surface of the Earth and all the activity occurs within the Earth’s Core. Instead of a single circulation as in the popular Dynamo Theory, it seems certain that there are actually pairs or quads of counter-rotating convective circulations as shown here (both driven by the [red] hot-spot that is slightly off-center). The infamous Luxembourg effect harks back to the time after WW2 when the British government refused to break the BBC monopoly and allow popular radio. How well do radionuclides 10BE and 14C agree as a proxy for solar activity? 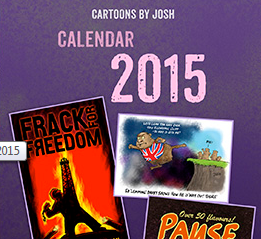 This is another guest post from Ray Tomes, head of the Cycles Research Institute. This site is a great resource for those of us interested in cyclic phenomena. This analysis is based on a Sunspot number reconstruction from Radiocarbon C14 in Tree Rings by Solanki, S.K., et al. 2005, and the data was obtained from NOAA. C14 is generally accepted as being a proxy for solar activity, possibly because of affects in cosmic rays. 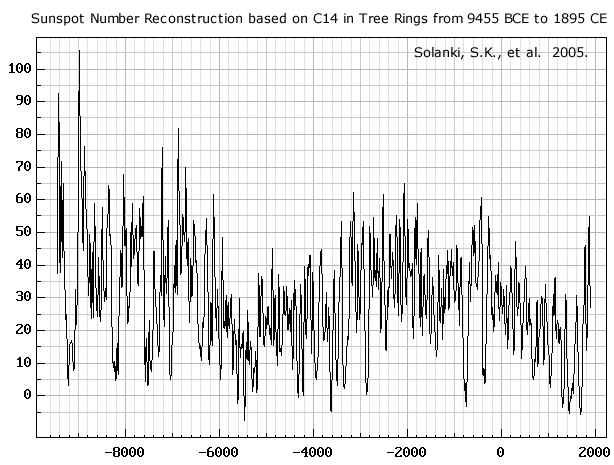 It will be seen that there are similar cycles in C14 to what are found in climate reconstructions. Richard Holle, who has his own section on this blog, and runs the aerolgy website, makes an incisive comment on WUWT, concerning cycles affecting weather patterns. It looks like Paul Vaughan has picked up on the work of Marcel Laroux as well, as highlighted here recently by contributor Thierry. Please take however much time is necessary to understand. The discussion cannot advance until people make the effort to understand the basics. Is Earths magnetism modulated by seawater as well as core dynamics? The flow of seawater across Earth’s surface could be responsible for small fluctuations in the planet’s magnetic field, a controversial new study says. If so, the research would challenge the widely accepted theory that Earth’s magnetic field is generated by a churning molten core, or dynamo, in the planet’s interior.